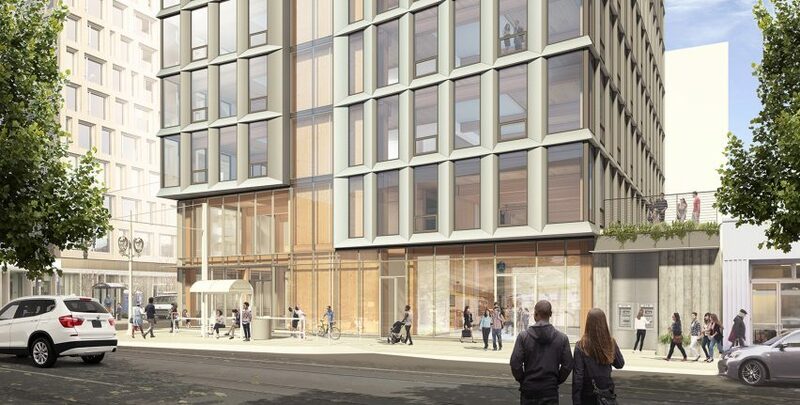 Construction of a timber-framed high-rise building for Portland’s Pearl District, which would have become one of the USA’s tallest wooden structures, has been postponed indefinitely. Local firm Lever Architecture designed the 130-foot (40-metre) mixed-used Framework tower to be one of the country’s first high-rises to adopt a wooden construction, employing a mix of two types of engineered wood: cross-laminated timber (CLT) and and glue-laminated timber, also known as gluelam. 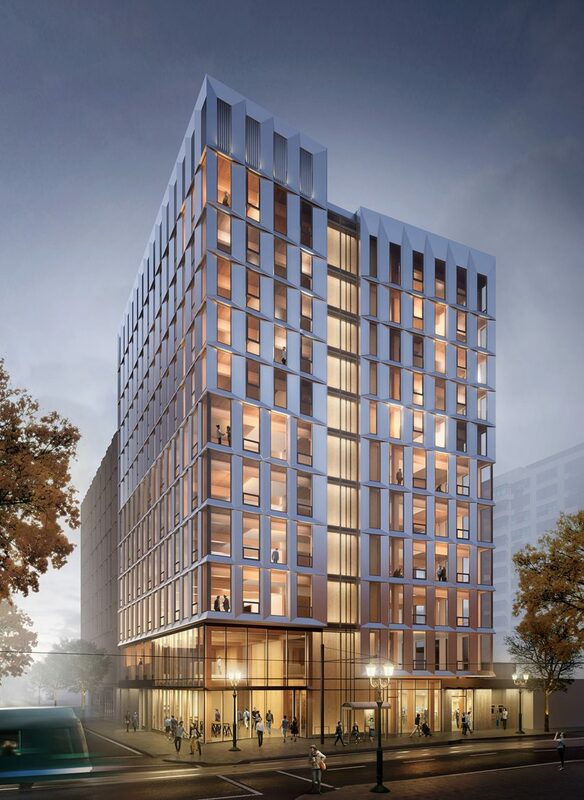 Its completion was originally scheduled for later this year, when it was predicted to become the tallest all-mass-timber building in North America. But earlier this week developer Project announced that it has halted the project after costs began to exceed the bottom line, initially estimated at $34 million (£26 million). The company put this down to the rising price of the construction in the city and “fluctuations in the tax credit market”. “Over the last four years, the Framework team has worked with private entities and public agencies that have understood the nature of this project and have supported our efforts to bring this pioneering model to fruition,” said Project’s Anyeley Hallova. CLT is produced by layering up many slices of wood at right angles and glueing them together, while glulam is manufactured in a similar way, but with slices all laid in the same direction. Both are significantly stronger than standard wood, and have become popular construction materials. For the Framework tower, Lever Architecture chose CLT for floor slabs and a lateral-force-resisting system (LFRS), and gluelam to make up the the beams and columns. Set atop a reinforced concrete base, the wooden structure was planned to be covered in glass, wooden screens and hanging plants that would allow glimpses of the timber structure, and the mix of shops, offices and residences inside. After it was unveiled in 2015, the project was awarded the US Tall Wood Building Prize. This research fund is granted to develop wood products in mass timber high-rise construction, enabling Lever Architecture to make sure that the structural, fire, and acoustical performances comply with US building code. The team said these developments have “paved the way for mass timber construction across the country”. 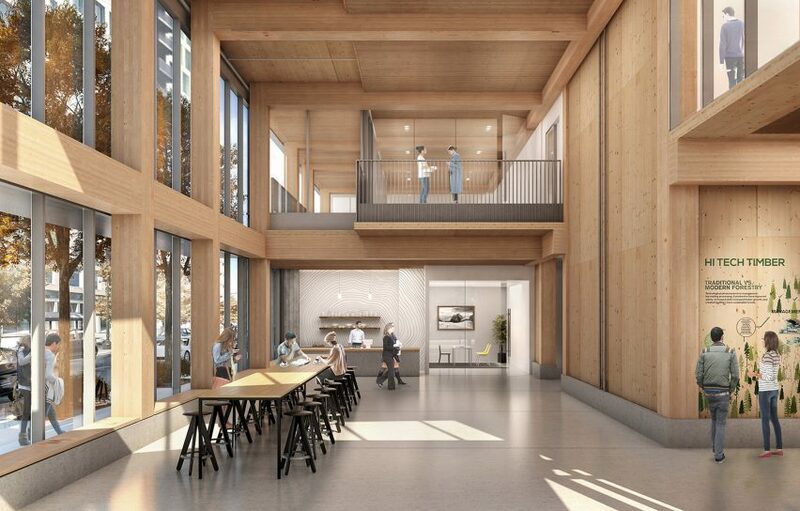 Other large-scale timber construction projects set for North America including Michael Green Architecture’s for a massive timber office complex in New Jersey. The material has seen a major uptake in use in recent years, with architects describing CLT as “the new concrete”. Firms including CF Møller, Tham & Videgård and PLP Architecture have all proposed high-rise designs across the globe made with the material. But Lever Architecture’s project isn’t the first to get the axe. Last year, a wooden skyscraper designed for New York by SHoP Architects was halted after a market downturn.